In 1971 Ireland was in the midst of mass Internment by the British government, for 14 men this meant the beginning of a period of torture, torture including hooding. Hooding is the placing of a hood over the entire head of a prisoner, it is widely considered to be a form of torture, it is also potentially physically dangerous. According to the International Committee of the Red Cross, hooding is used to prevent people from seeing and to disorient them, and also to prevent them from breathing freely. 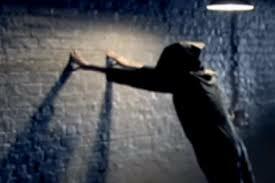 In 1997, the United Nations Committee against Torture concluded that hooding constituted torture, a position it reiterated again in 2004. Hooding was only one aspect of torture these men faced; they were all subject to what is called the “five techniques”. Taken to a secret location in Derry the men were tortured using the following methods. 2. Wall-standing: forcing the prisoners to remain for periods of some hours in a "stress position", described by those who underwent it as being "spreadeagled against the wall, with their fingers put high above the head against the wall, the legs spread apart and the feet back, causing them to stand on their toes with the weight of the body mainly on the fingers"
On top of this many of the men were taken in a helicopter and believing they were high in the air, dangled outside and threatened with being dropped to their deaths, when in reality they were only feet off the ground, in a further and disturbing act of psychological torture. The “hooded men” initially had their case heard in the ECHR in the 1970’s; the Freestate government lodged the case against Britain in 1971 on their behalf with a judgement being made in 1978. It is worth noting that co-operation from the British government was virtually non-existent, they refused to send witnesses and treated it with distain, and documents were not made available. The court was not able to hear oral evidence from members of the security forces in relation to the allegations concerning the interrogation centre. In the first place no witnesses who had been present at that centre were made available. Secondly, the British Government stated that all of their potential witnesses had now been instructed not to reply to any questions regarding the five techniques and their use on the ground, that the use of these techniques had been discontinued and that there were security considerations involved. What we do know is that the British did not discontinue the five techniques; they have continued to use the five techniques as recently as 2003. Baha Mousa was an Iraqi man who died while in British Army custody in Basra, Iraq in September 2003, The inquiry into his death found that Mousa's death was caused by factors including lack of food and water, heat, exhaustion, fear, and the hooding and stress positions used by British troops, this is remarkably similar to the five techniques used against the Irish Hooded men. For this case of murder a British Army man was convicted, served one year in custody and was dismissed from the Army, this shows how seriously the British Government take torture, the lack of action from the ECHR ensures that the British do not take account for their actions and allows them to continue in these barbaric practices. 1978 The European Court of human rights was prepared to say that the Hooded men were subject to inhuman and degrading treatment, but stopped short of torture. While the five techniques was said to be banned by the British from 1972, given the ECHR failure to view it as torture, it amounts to a ban on paper but not in practice, as evidenced by the murder of Baha Mousa. The British, Israel and the US have all been comforted by the ECHR 1978 ruling, in intervening years when accused of misconduct and torture against prisoners, they have all referred to the 1978 hooded men ruling as some kind of permission for torturing prisoners, ironic considering these Countries continually lecture others on their abuse of prisoners and human rights abuses. 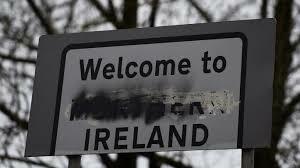 In 2014 An RTÉ documentary entitled, "The Torture Files," covering the case of the hooded men, reported on a letter from the UK Home Secretary Merlyn Rees in 1977 to the then British Prime Minister James Callaghan. 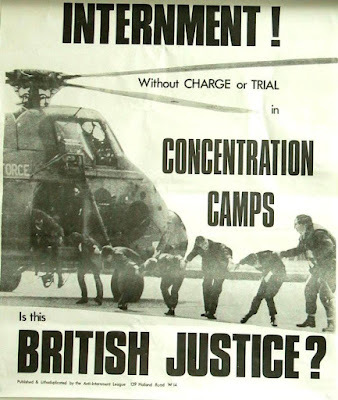 It confirmed that a policy of torture had, in fact, been authorised by the British Government's ministers, specifically the Secretary for Defense Peter Carrington, in 1971, contrary to the information shared with the Freestate government and the ECHR. 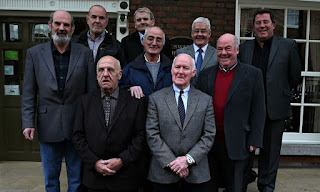 Following the Documentary the Hooded men, their solicitor Darragh Mackin and case coordinator Jim McIlmurray called on the Freestate government to bring the case back to the ECHR on the grounds of the newly uncovered vital evidence intentionally withheld by the British government during the original ECHR proceedings. Not alone this but the British Government had deliberately withheld medical reports by a certain Doctor L demonstrating that the effects of the five techniques could be substantial, severe and long‑lasting. However in the initial court case the British Government, through the evidence of the same Dr L. had alleged that the said effects were minor and short-term. 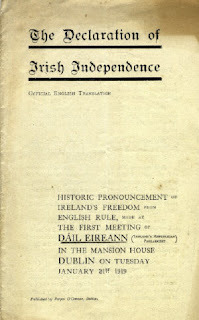 The Freestate Government’s application to revise the original ruling based on this new evidence was eventually accepted; the ECHR looked into the case once more. Today they gave their ruling and to many people’s shock and horror they upheld the original 1978 ruling. 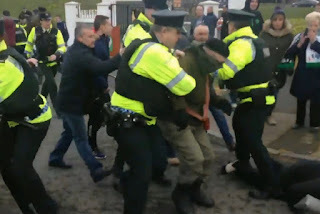 What we do know is that the hooded men’s fight for justice does not end here, in conjunction with their legal team they will be pursuing this further, as a Republican it is easy for me to support the hooded men, however, this is a human rights case and not a political one. No judgement will ever take away the heartache and sorrow of what these men went through, no one can ever deny what happened. 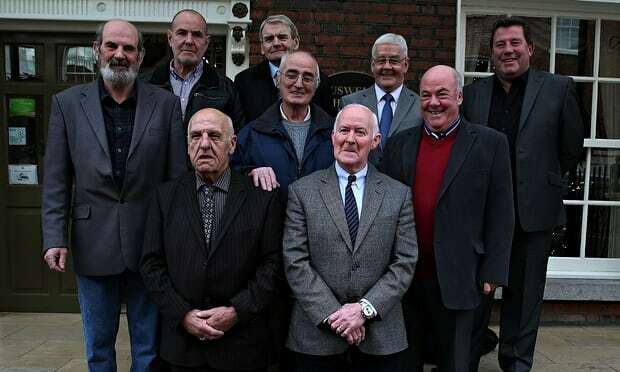 The 14 hooded men were: Jim Auld, Pat Shivers, Joe Clarke, Michael Donnelly, Kevin Hannaway, Paddy Joe McLean, Francie McGuigan, Patrick McNally, Sean McKenna, Gerry McKerr, Michael Montgomery, Davy Rodgers, Liam Shannon and Brian Turley. I hope that those who survive go on to see victory for themselves and the families of those who have since died. We must support the hooded men of 1971 to ensure that state-sanctioned torture is a thing of the past, while the ECHR uphold the original ruling, it gives permission to despotic states including Britain to dole out torture as they see fit.